Vaijanti Mala: Viajanti is a shiny seed. It is found in ‘braj’ forests where the god and goddess (radha and krishna) eternally make love. 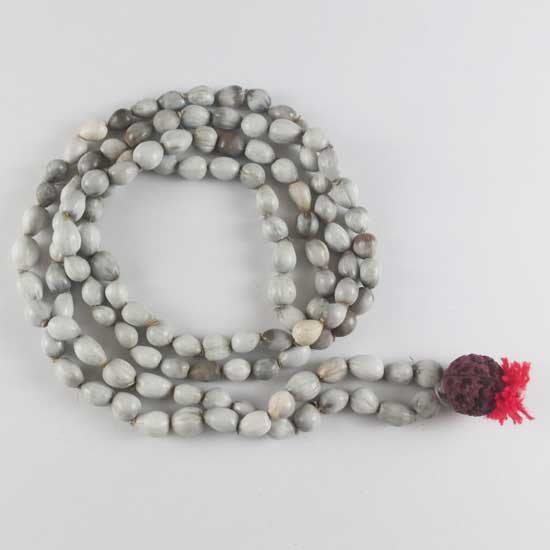 This mala is a symbol of attraction, victory and attainment. Vaijanti mala is also known as lord vishnu's garland. It is widely used for japa (prayer) of lord krishna, vishnu and rama. Benefits: It is a common belief that wearer of Vaijanti mala does not suffer losses in life and gets wish fulfilment. White Vaijanti mala gives victory through our dharma. It balances all types of doshas. One can also wear this mala for vashikaran(attraction) and devi siddhi.